THE FACTS – According to information provided by the National Network of Women Human Rights Defenders in Honduras, on Thursday, May 10th, defender Yenis Zulay Rodriguez and her companion Carlos Omar Espinoza Velasquez attended a hearing in the Civil Court of Trujillo, Colón, after being accused by the Agropalma Company of the alleged offense of land usurpation. In what has become a constant in this entire region of the country, a private enterprise once more turns to the ciminalization and judicial prosecution of those who defend the rights of their communities against these lucrative interesrs based on the exploitation of natural resources. In this light, it is important to remember that the IACHR has indicated that the unjustified prosecution of human rights defenders fosters a number of personal damages both individually and colletively, and also has a threatening and paralyzing effect on other defenders. 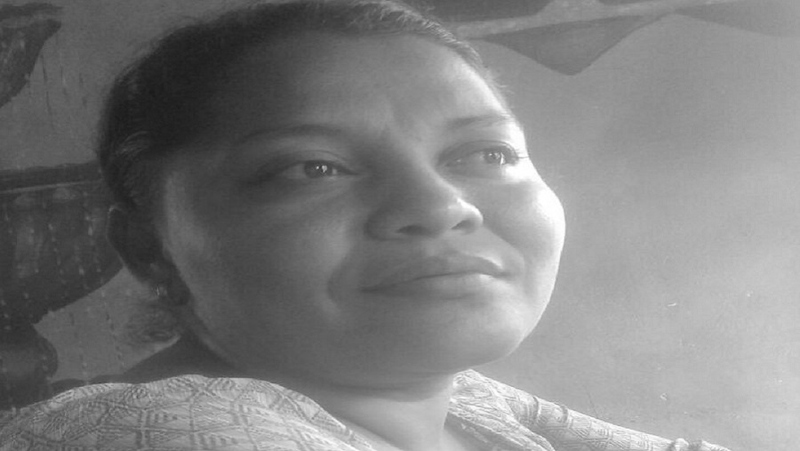 Thus, we are especially concerned about the fact that this is the third criminalization process faced by Yenis Zulay Rodríguez as a consequence of her legitimate struggle for territorial defense. This has placed her in a situation of vulnerability and evident risk, regarding both her physical, emotional and psychological integrity and the exercise of her right to defend rights. 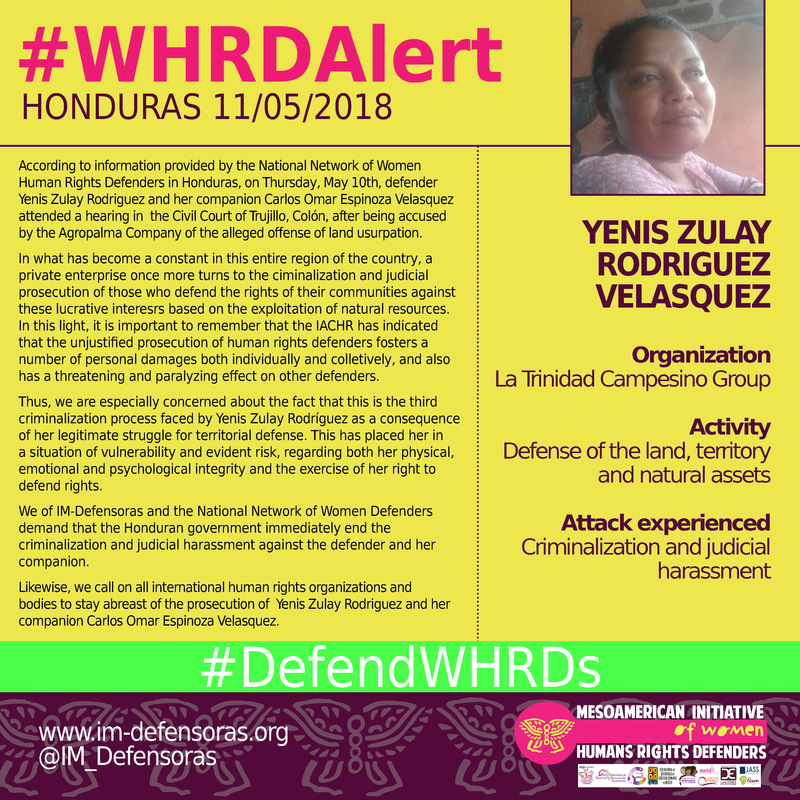 We of IM-Defensoras and the National Network of Women Defenders demand that the Honduran government immediately end the criminalization and judicial harassment against the defender and her companion. Likewise, we call on all international human rights organizations and bodies to stay abreast of the prosecution of Yenis Zulay Rodriguez and her companion Carlos Omar Espinoza Velasquez.